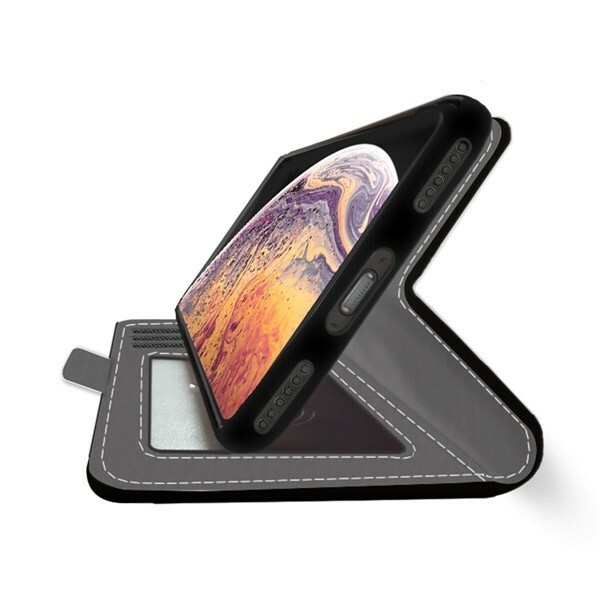 Protect your phone with a custom iPhone Xs case and get the card storage and stylish look of a wallet case. This isn’t just any wallet case though. 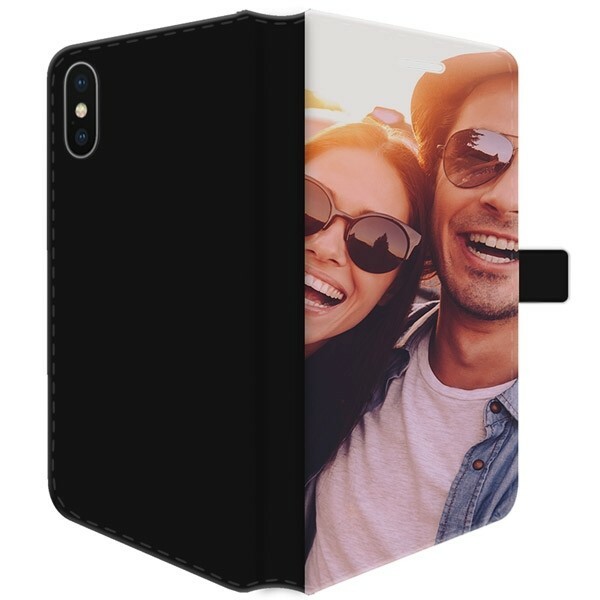 Our front print wallet case allows you to print your own images of designs on the front of the case, making for a one of a kind cases that only you have. 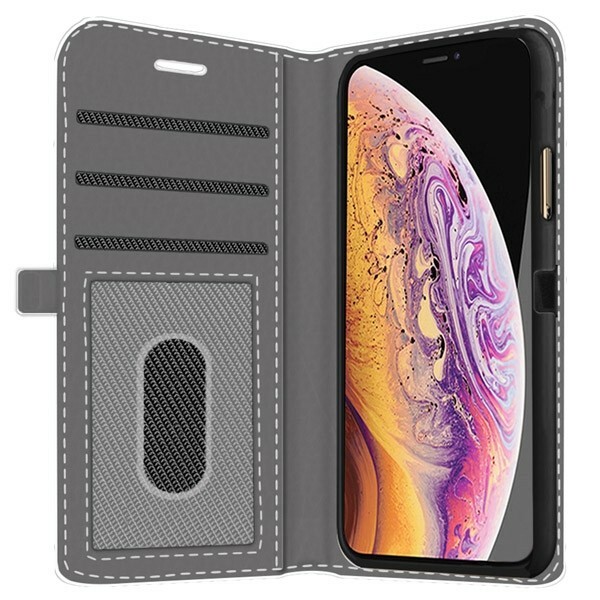 Along with a unique look, this wallet case offers great protection against, bumps, scratches, and drops while giving your one places to store important items. Items like your phone, license, and banks cards. Creating a custom phone case has never been so simple. 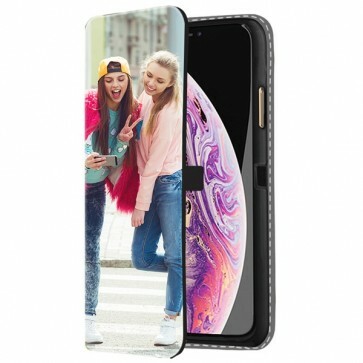 Create your own custom iPhone Xs case now. Create a custom iPhone Xs case easily using our specially built Customizer. You are the designer now. Don’t compromise, make exactly what you want. In three quick and easy steps you can make a one of a kind phone case that fits your style perfectly. Use your computer, phone, or even your social media accounts to upload a PNG or JPEG to the customizer. Resize, rotate, or make any image adjustments before adding texts and emojis to finish off your design. Make sure Double check your order before you complete it. It’s that simple. Create your own custom phone case now, in just five minutes.